He was such a wonderful person and he'll be missed tremendously by the kids and by everybody who knew him. The kids will be heartbroken! To honor his memory, together with his family, we'll be establishing a special WOODY BARKER SCHOLARSHIP. 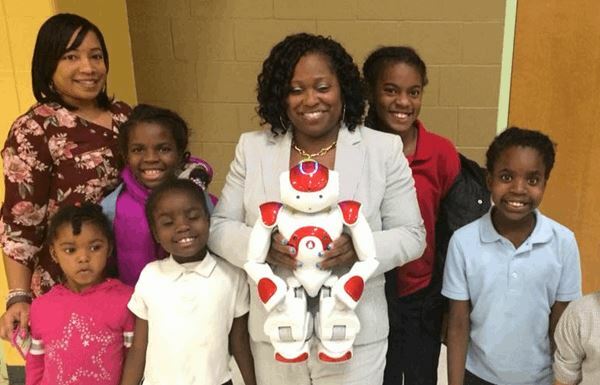 To support more STEM education, the CAA Head Start is starting a Robotics/Computer Program at Ted Berry Head Start in West End. We had a great Kickoff with representatives of Southwest Ohio Region Workforce Investment Board and REDI Cincinnati stressing the importance of growing local talent in order to attract companies to our region. We also had Prof. Austin Lee from Northern Kentucky University demonstrating a humanoid robot. 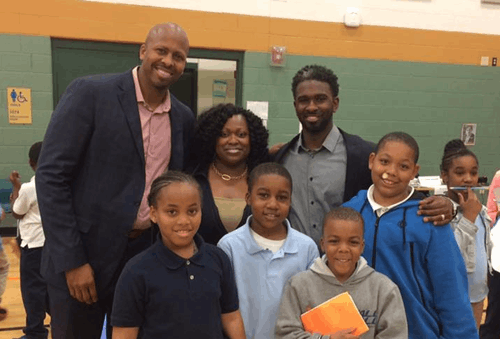 This new CAA Head Start program is a significant part of building a "West End High-Tech Education Hub" by Code for Kids in collaboration with Cincinnati Public Schools, which has two schools in West End: the George Hays-Jennie Porter Elementary (Ohio's first High-Tech Elementary) and Robert A. Taft Information Technology High School. Students from Hays-Porter did a demonstration of computer coding and they did a fabulous job! 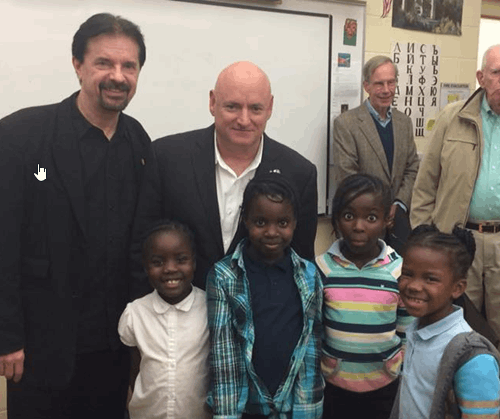 Meeting the legendary NASA Astronaut Scott Kelly! I took four girls from the George Hays-Jennie Porter ElementaryComputer/Robotics Club with me - hopefully they will get inspired and will keep reaching for the stars! 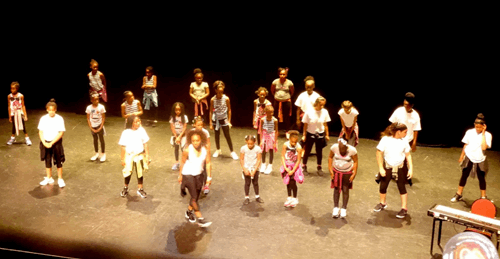 Thank you Cincinnati Museum Center for organizing this event!!!! Cincinnati Mini Maker Faire is a celebration of creativity and invention. Makers showcase what they make, inspiring others with their passion and teaching the skills necessary for invention. From robots and microprocessors to experimental music and jewelry, any and every act of making is on display. 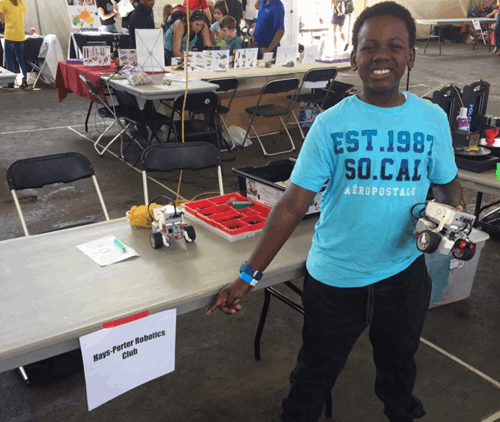 Cincinnati Mini Maker Faire is independently organized and operated under license from Maker Media, Inc. Visiting GorillaMaker (https://gorillamaker.com/) and learning more about 3D printing and how we can get more of this technology to schools. 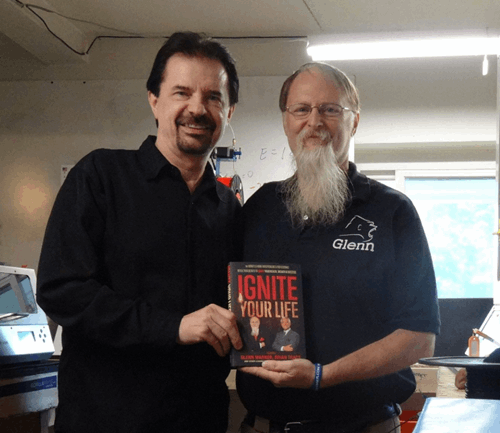 Glenn Warner is a super awesome and extremely smart guy, and we're totally on the same wave length, so it was a great conversation about innovation, education, 3D Printing, and the future of our region. I'm looking forward to collaborate on some of the ideas we've discussed today! Definitely an awesome way to start a day! 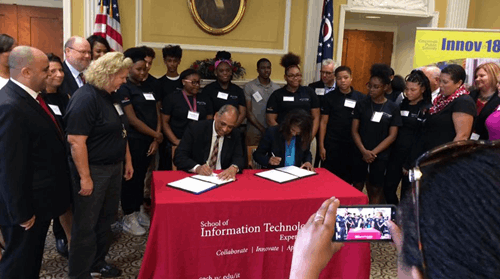 UC School of Information Technology has signed an agreement with CPS to enable high school students to take credit classes at UC toward Bachelor of Science in Information Technology. Our article about "Building divers IT Education Pipeline" has been published on Medium STEAM! 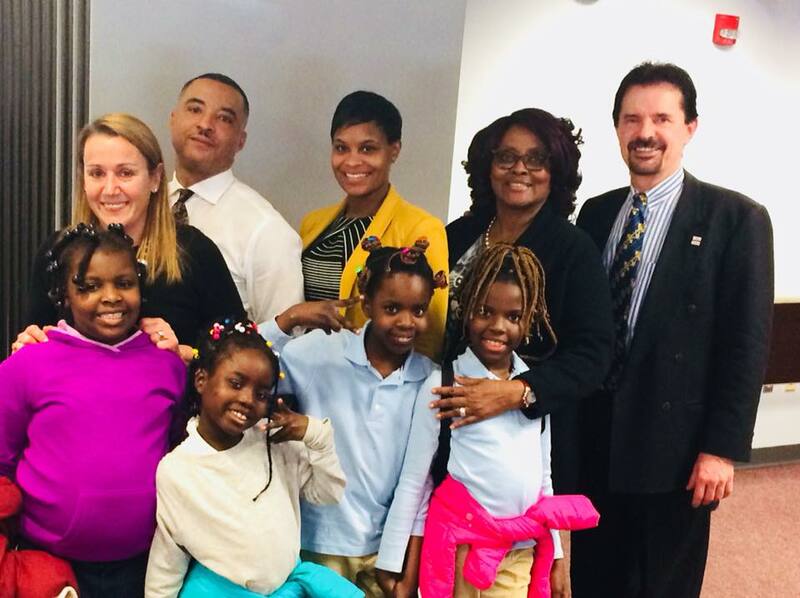 So much fun today supporting the Bond Hill Academy Elementary School becoming the "Math & Science Discovery School" as part of the CPS Vision 20/20! I was helping out in June with their Summer Enrichment Program teaching coding and robotics as part of Families Forward! 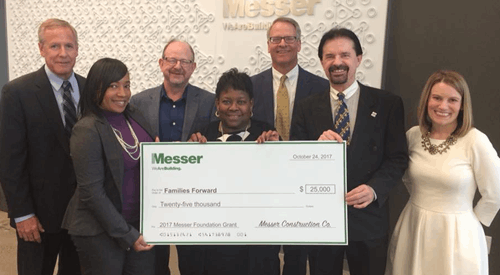 Today I was supporting FamiliesFORWARD in their presentation at Messer Construction HQ, as part of an application for a grant. It was about the After-School program at George Hays-Jennie Porter Elementary and our focus on technology. We had three students with us and they did a fantastic job talking about what they've learned in the program, and how much fun they are having building robots! 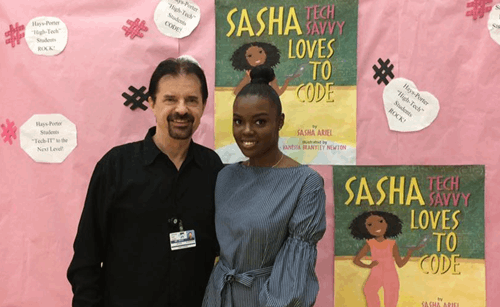 Fantastic Career Fair at Hays-Porter Elementary School, with many organizations and companies presenting different jobs opportunities for the kids. As a special guest, we had Rob Richardson, former Chair of the UC Board of Trustees, who talked to kids about college opportunities at UC. Hays-Porter High-Tech Elementary School organized a Tech-Show, where students presented what they have learned this semester, incl. 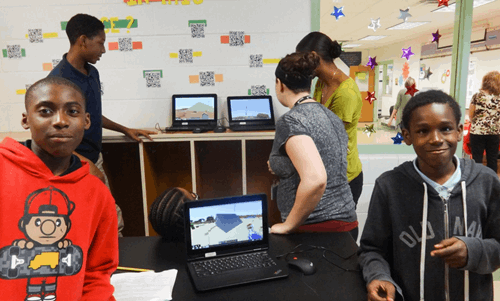 Minecraft coding, robotics, video production, etc. A big Thank You to Mr. Mike Welch for sharing his Racing Drone expertise with the Hays-Porter Computer/Robotics Club students! 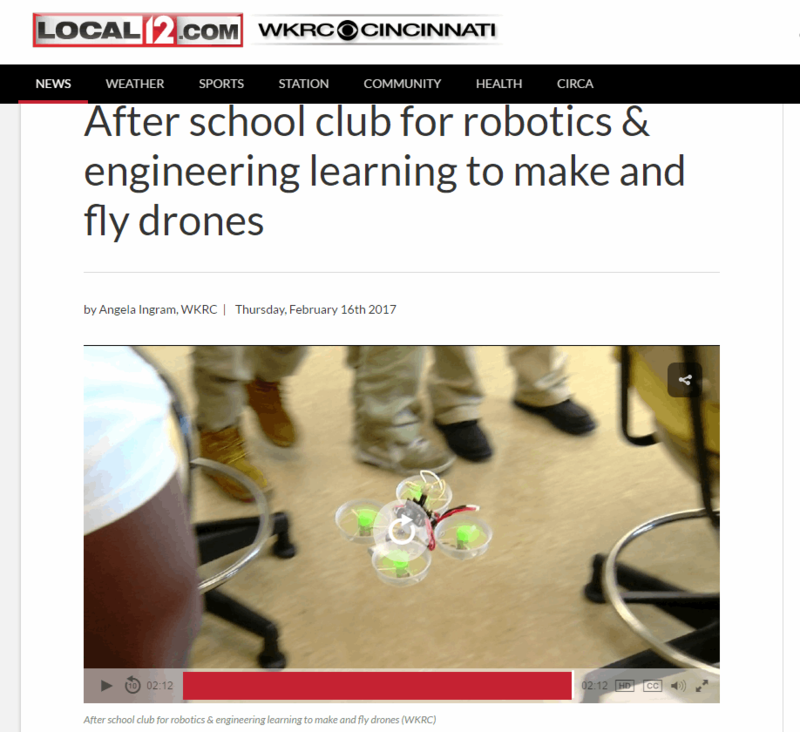 Yesterday LOCAL 12, WKRC-TV has visited us to learn more about our program at Hays-Porter Elementary School, the Robots and the Drones! It was awesome and the kids loved it! Members of the Hays-Porter Robotics & Computer Club went on Sunday to see the incredible Cincinnati Ballet's show: "King Arthur's Camelot"
It's part of adding the "Arts" to STEM and making it STEAM (Science, Technology, Engineering, Arts, and Math). The Cincinnati Ballet dancers did an amazing job, and the kids loved the show and are now total fans of Cincinnati Ballet, which is also located in West End! I'm extremely honored and humbled that I've been selected as one of the finalists of the 2017 Duke Energy Children's Museum Difference Makers! 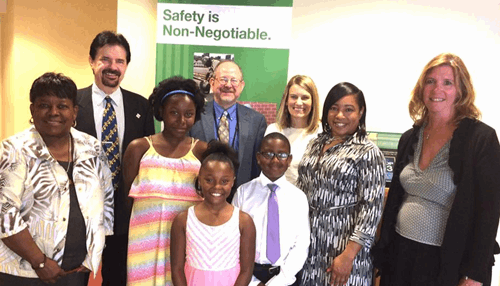 "Duke Energy Children's Museum's Difference Makers Celebration honors youth, adults, businesses and agencies that share our focus to better the lives of children in our community. 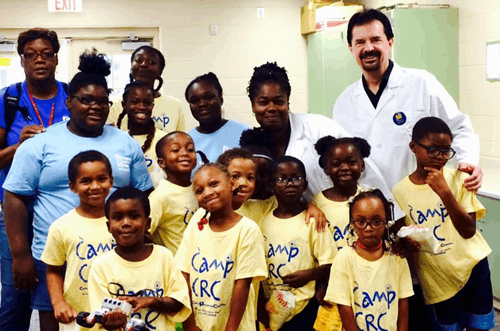 Difference Makers go out of their way to enact significant change in the community. They distinguish themselves from others by their dedication and impact. 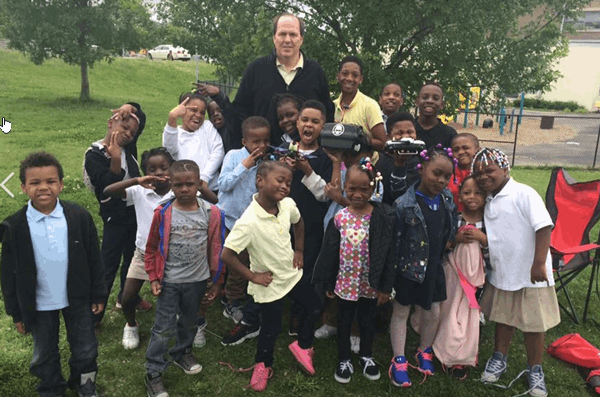 We want to honor the unsung heroes – the grandmothers and foster parents, the volunteers and community organizations, the teenagers and budding child advocates – along with the businesses and professionals who make the Greater Cincinnati region a better place for children." a) I am so thankful for all the work done by CPS Leadership on Vision 2020, the Hays-Porter Principal Ms. McClain, who was a believer from the very beginning, all the Hays-Porter teachers and volunteers, and the West End Community Council that allowed us to get here, and especially to my dear friends from FamiliesFORWARD: Ms. Allsop, Ms. Richardson, and Ms. Matchett - you all ROCK!!!! d) And most of all, a huge "Thank you" to all friends at Cincinnati Bell incl. Mr. Smith, for their continuous support, and especially to the former CEO, Mr. Jack Cassidy, for inspiring me to this idea, by taking my Leadership Cincinnati Class 34 for a tour of Taft IT High School back in 2011, and showing us that if you dream big, everything is possible! Also, I am so very proud of all the students participating in our Computer/Robotics Club in both schools - they are just fantastic!